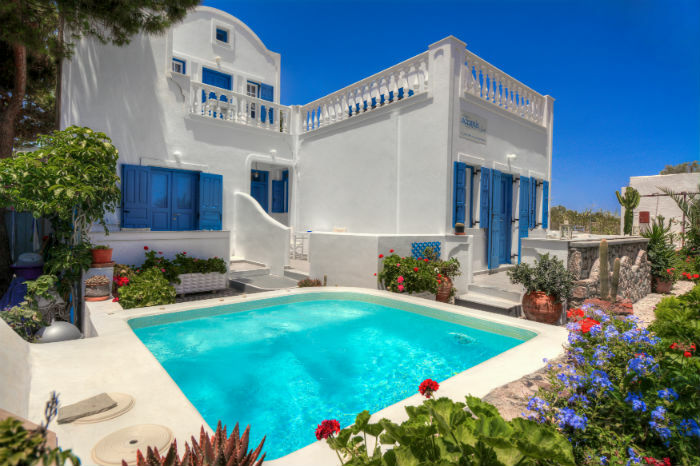 Studios Oceanis Bay offer a hot tub and accommodation with views of the sea, sunrise and garden. What a magical place we found! We are seasoned travellers and we finally found one of the best. Outstanding accommodation, cleaned daily, including fresh bedding and fluffy towels which were changed regularly. Equipped with all the basics you need including a fridge and some cooking facilities. Excellent free Wi-Fi. Beautiful looking building with very well maintained gardens with a Jacuzzi and seating that overlooks the sea. Free sunbeds and shades on the beach. It is managed by the lovely Vaggelis who does absolutely everything...and we mean everything to make sure you have a wonderful and memorable stay. Nothing is too much trouble to him and his wonderful family who are also involved. His lovely Mum making us some homemade Tzatziki which was the best we have ever tasted and his fathers homemade wine was absolutely delicious. We can honestly say nothing was too much trouble to them. Situated right on the beach with stunning views. Amazing sunrise and sunsets. Lots of nice eating places/bars, supermarkets, bakeries and bike/car hire shops within a few metres along the sea front and surrounding areas. Plenty of things to see and and places to visit by walking or very cheap local buses. We will definitely be returning and would highly recommend this outstanding perfect holiday hotel. Thank you Vaggelis and your lovely family.